This title will be released on June 28, 2018. When Ella’s beloved grandmother dies, she comes back to the beautiful Cornish coast to heal her heart. There she finds her home again and discovers a new life, and new love … But she also opens a treasure trove of secrets. Sennen left Cornwall a young single mum but unable to cope. She left her children, her family and part of her. She’s spent the years hiding from her past, hiding from herself. Now it’s time to come back. To Cornwall. To face her mistakes. To pray for forgiveness. To hope for a future with her daughter. I always get excited when I see that Fern Britton has a new book out and I could not wait for this one. Fern’s books are pure escapism and wonderful to read on a cold and frosty morning. I managed to read this book in a day and a half, I just couldn’t put it down. I found the story intriguing and had to know if Sennen would ever come back to her children. The last few chapters bought tears to my eyes I wont say if they were happy ones or not but this is one book you wont want to miss out on reading. I received a advanced reading copy of this book. 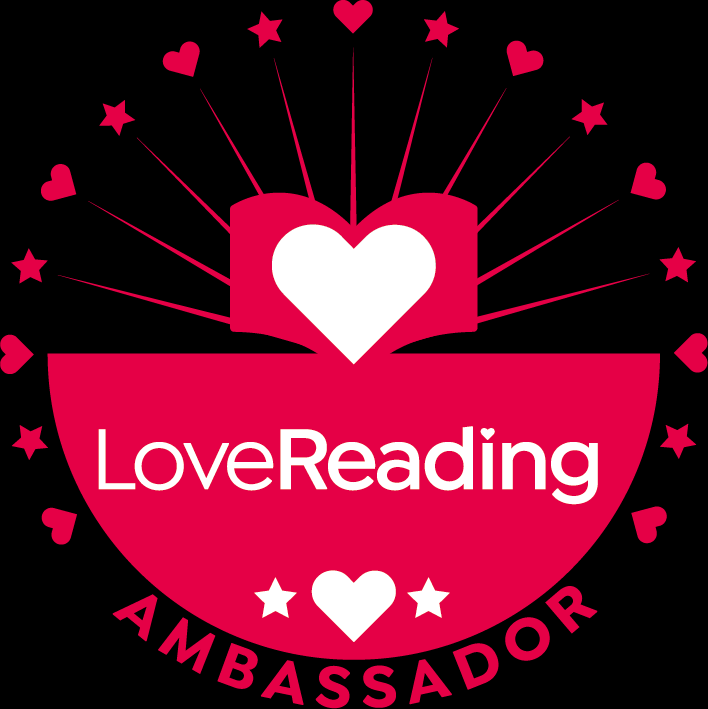 Thank you Lovereading. Sarah is drawn to the abandoned Ambergate Asylum. Whilst exploring the old corridors she discovers a suitcase belonging to a female patient who was admitted fifty years earlier. The shocking contents lead Sarah to unravel a forgotten story of tragedy, lost love and an old wrong that only she may have the power to put right . . I found myself utterly mesmerised by this story. I have always been intrigued by Asylums as as a kid I grew up living near one that had been derelict for a good number of years. The story jumps from past to present and a really interesting story it is. I felt as though I learnt a great deal too and could really picture it in my mind as the writing was really descriptive. A story I wont forget but would recommend greatly. I received a advanced copy of this book for an honest review. Antonia is beautiful and happily married. Her life is perfect. So why does she hurt herself when nobody’s watching? Sophie is witty, smart and married to the best-looking man in town. She likes a drink, but who doesn’t? Olivia is pretending to be a happy wife and mother. But her secret could tear her family apart. Their lies start small, they always do. But if they don’t watch out, the consequences will be deadly. I didn’t enjoy this book as much as I thought I would. I found there were too many characters to make it an enjoyable read. I kept on trying to remember who is who and their story. It is a dark read and there are people that will enjoy it but it just didn’t work for me. She’s a friendly voice on the phone. But can you trust her? What an intense thriller, it made my palms sweat thinking about what could be. The story is bought to life with two different sides of the story one being Laura’s story and the other being Ryan’s story. It left me on tenterhooks and made me want to keep reading but I didn’t want the story to end. A very captivating read. Maureen Jackson knew life as a trainee nurse wouldn’t be easy, but she didn’t expect her hospital to be badly bombed on her first shift. Plus Maureen still has her family and friends in Mulberry Lane to keep her busy – she’s needed as much there as she is by her patients. Janet Ashley’s husband is back from the frontline. Which is more than so many of the wives of Mulberry Lane. But her beloved Mike is a completely different man from the one she fell in love with – and what’s more he doesn’t remember her, or their young daughter. How do you cope when your darling husband is a virtual stranger? As WW2 continues around them, the women of Mulberry Lane know that community spirit and friendship is the key to surviving the Blitz. This is the second book in the Mulberry lane series, and even though I have not read the first one I thoroughly enjoyed this one. It is set in the East End of London and it is around the time of World War two. I found the story heartbreaking but also very interesting. I find reading about the nurses in those days really interesting and the story itself was very informative. A really interesting read. I received a advanced reading copy of this book for an honest review. The snow is falling, the hot chocolate’s warming, and hearts are melting . . .
Emma is the proud owner of The Chocolate Shop by the Sea, nestled in the heart of the cosy seaside village that’s become her home. With Christmas right around the corner, she and her assistant Holly are busy cooking up the locals’ festive favourites. From cinnamon hot chocolates to reindeer lollipops, Christmas wouldn’t taste the same without a little cocoa magic. And for Emma it’s the perfect distraction from her romantic pains of the past. So when the shop’s miserly landlord threatens to hike up the rent, Emma’s Christmas and New Year suddenly look a lot less cheerful. With the whole village rallying behind her – and loyal spaniel Alfie by her side – Emma’s determined to hold onto her chocolate-box dream. The chocolate calendar countdown is on. Can Emma rescue her business and her broken heart? If you want a cosy festive read this is the book for you, add some romance and lots of chocolate and what more could you want? Caroline is a new author to me and I really don’t know why I haven’t read any of her books before. This one was perfect. I love the fact that Emma runs her own chocolate shop that would be my dream job, and her sweet little dog Alfie sounds adorable. I love how the people in the village all help Emma out when she needed them. Max sounds like a lovely guy too and I really hope that there is a sequel as I would love to find out what happens next in Emma’s future. “F*** you for breaking my f***ing heart…” This is the heart-breaking yet hilarious story of Jimmy Rowland and Erin Poppet. Jimmy Rowland has the perfect life. He works in his favourite bar by day, and by night he lives his dream with his two best friends in his band. Erin Poppet crashes into Jimmy’s life like a beautiful storm. He falls in love with her as quickly and as deeply as possible. The intensity of their relationship leaves Jimmy with a broken heart, a useless vacuum and a demon inside him. Jimmy’s dream life quickly becomes a nightmare when he loses his dream job and destroys his musical career live on stage. I liked reading about Jimmy’s Journey. Yes there are swear words in this story but it kind of makes it even though I am not keen on them there are only a few Liam uses but it works. The book is divided into three sections, you, me and us. So we get to hear Jimmy’s, Erin’s and when they were in a relationship side. I think this story tells you not too jump in too quick to a relationship, enjoy what you have in the moment. For a debut novel it is written well. I received an advanced reading copy of this book for an honest review.